I’m a British globe-trotter, who is passionate about all things genre-related (novels, movies, comics, etc.) and loves to tell people about them. What if the world’s greatest supervillain decided to become the world’s greatest hero? Meet Max Damage, Sky City’s most notorious super-powered criminal. Known for everything from manslaughter to terrorism, no one could match Max’s appetite for chaos. But that was before the Plutonian, the world’s greatest hero, turned his back on humanity and slaughtered millions, leaving Max a changed man. Now, the world’s salvation may lie in the hands of its most infamous supervillain. Can someone who once ruined so many lives now truly become Incorruptible? 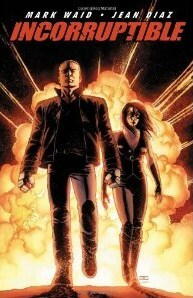 Incorruptible is a companion series to Waid’s longer-running Irredeemable (reviewed here). 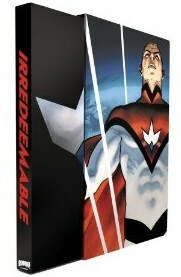 Needless to say, if you like comics, superheroes and great writing, you need to be reading Irredeemable. Seriously: it’s incredible. This is a cross-post from Civilian Reader's blog, reworked into the New readers... format. You can find the original post here. We're cross posting because the book fits the remit of the site, and CR kindly offered us the review, instead of writing a brand new one (why re-invent the wheel, after all). 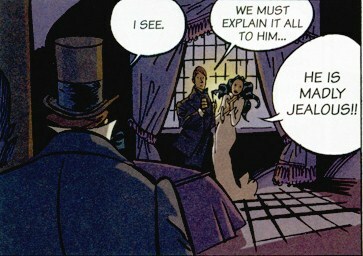 You should check out his blog, he likes the Discworld, therefore he has impeccable taste. What if the world's greatest hero decided to become the world's greatest villain? When the Plutonian, the world's greatest hero, snaps and turns into the world's greatest villain, only his former teammates have a chance at stopping his rampage. But while on the run from the world’s most powerful and angry being, will these former teammates discover his secrets in time? How did he come to this? What became of the hope and promise once inside him? What happens to the world when its saviour betrays it? What makes a hero IRREDEEMABLE? Killroy, alien despotic overlord, gets bonded with a 17 year old earth girl called Tina Matthews. this bonding means that Tina gets Killroy's powers (laser eyes, super strength etc), but if they go further than 5 miles away from each other, they each lose their superhuman abilities. If one dies, the other dies. There are a few unexpected side effects, like Killroy gaining some of Tina's physical characteristics. Killroy has to learn to live with Tina and her mother, work out the intricacies of earth culture, and Tina has to deal with the new events thrown up by Kilroy's presence. It's essentially a hero's journey. Tina grows into her new skills, worries about her responsibilities and eventually takes up the vigilante mantle. She doesn't like Killroy, she's resentful of him upending her life and she won't give him a fair chance. Her mother grows to like him, and her boyfriend, Brandon, gets on with him very well. Later on we meet another alien, Querty, some female furies, Tina's rubbish classmates and future selves of Tina. All mixed together, they've got to get on, deal with school and jobs and taking a drive (not easy when Brandon's around, as he has a habit of, well, making weird things happen). We've updated the information on further reading in this Superman/Batman/Supergirl review. Incidentally, did you know that story has been released as a DVD? They changed the name and called it Superman/Batman: Apocolypse (presumably because the marketing people think girls have cooties) but it is the same story and it's really really good. It's all ages so would be a great gift for the younger superhero fan in your life. That Deaf Guy is about the everyday adventures of a Deaf man with a hearing son and wife. It is created by husband and wife team, Matt and Kay Daigle. Matt draws, Kay writes. Matt was born Deaf, his wife is hearing, and together they create a comic strip about everyday life - raising a small child, managing money, working out Halloween costumes, appropriate winter finger wear, and being Deaf. Garfield is a fat orange tabby cat, who likes pizzas and being sarcastic. He hates Mondays, diets and doing things. As a cat, he naturally knows he's better than everyone else, particularly his owner Jon and the dog, Odie. Garfield has been running as a comic strip since the late 70s and is beloved by many people the world over. There's been a film, TV shows, toys, mugs, t-shirts, all sorts of merchandise. 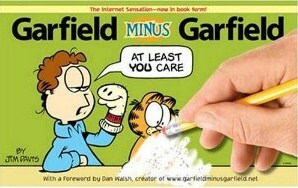 What Dan Walsh has done, is take Garfield strips and remove Garfield from them. This invariably leaves Jon looking, well, decidedly odd. Can there be a murder without a victim and a murderer? Is the pride of Scotland Yard worthy of his reputation? Can murder complement art? 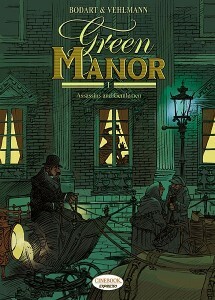 Green Manor contains several different tales of murder and mayhem, as told and implemented by the members of a posh gentleman's club in Victorian London. These fellows are boorish and pompous, intoxicated by their own cleverness. As a consequence, the challenges issued from one to another are fantastic (in the old sense of the word), foolhardy and border on the ridiculous. We've added some more information to the disabled superheroes (wheelchair users) post we did a while back, to cover Horsewoman. Click through to check it out. It's about a girl who has a sister grown from her homunculus, by her mad scientist father. Or it's about a girl who's a major tease and can't decide what she wants. Or it's about a girl in the early stages of a new relationship. Or it's about how other people see this girl. Or it's about the effect of parental divorce. 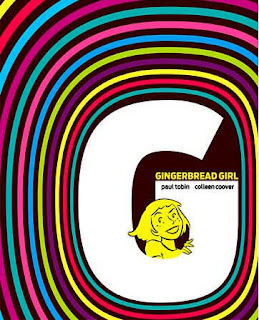 Or it's just a fun little story full of fantasy and giggles. Well, that last bit may not be true. There's funny, unusual episodes, but it's not really a comedy. Annah is the lead character, and she may or may not be crazy. She thinks she has a sister, but it may be fantasy. It may be real. Who knows? Either way, she thinks she's lost her sister and it's having a profound impact on her life. Now we coming to the last of our short series looking at disabled characters in superhero comics. originally I intended to list every characters with some form of disability or mental health problem. But due to life getting really full I'm going to have cut the entries short, so think of these posts as more of a selection of highlights which will give you a good place to start in comics!